From the first scene to the last, From Mambo to Hip Hop is fused with classic music from both genres, while also offering a detailed and comprehensive historical overview of the Bronx, the origin of its inhabitants, and the mutual oppression that they faced. Beginning in the 1920s, the documentary follows the influx of Latino immigrants who came to the United States from the Caribbean and settled in the Bronx, as well as the simultaneous migration of African “Americans” who had been emancipated from chattle slavery just over 50 years before. The two were wedded together in the Bronx. Musically, it all began with the Afro Cuban mambo players. Their exemplary musicianship would eventually place the budding new genre on the world stage. By the mid 1960s mambo was the hippest thing, and both the Black and Latino communities in the Bronx were embracing this new marriage of cultures, dance, music, and freedom of expression (for the most part). Salsa was not only about the music and the dance; it could also be used as a voice for social and political messages. Then, almost as if predestined, the community was once again under attack by their oppressors. After economic misfortune began to plague the area, the hardships that ensued created the perfect conditions for the birth of hip hop. Before that would happen, the Bronx and the people that lived there would have to go through hell, literally. The landlords of the various housing projects throughout the Bronx began setting fire to their own property in order to collect the insurance money. The landscape of the South Bronx was turned into a desolate wasteland, almost as if war torn. The people moved and, as fate would have it, the impoverishment followed. As the victims of injustices, the people of the Bronx underwent an infestation of crime and violence born out of the poverty that they were forced into. From the 1950s on into the 1970s, street gangs were commonplace on the main stage of the Bronx. Gang violence inevitably followed the youth of the community where ever they went. The film also highlights the importance of the gangs and the gangster hierarchy which can still be seen today in various aspects of hip hop. After the birth of hip hop in the Bronx, the people of the community nurtured the fledgling lifestyle. Strongly encouraged and influenced by both the Black and Brown cultures of the area, hip hop quickly became a national sensation. 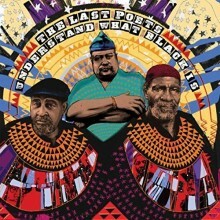 It wasn’t long before the lifestyle and culture of hip hop went from one of the most impoverished communities in America to becoming a global phenomenon, sweeping across the planet and communicating with each and every culture. From Mambo to Hip Hop will cause most to view the origins of the universal vibration known as hip hop through a new spectrum. Being Afro-Latino myself, I was immediately sucked into the content. With a multitude of characters from the classic mambo and hip hop eras, stories are woven together and pictures are vividly painted. The old black and white footage of the Bronx is marvelous, along with the rare footage of mambo and hip hop performances from back in the day. The hour long documentary is divided into three major parts with each leading into the other. Beginning with the origins of mambo and salsa, the film takes a look at the people and conditions that were the catalyst for the music. Next is an exploration of the street gang subculture that sprang up from the Black and Brown people of the Bronx. From Mambo to Hip Hop does a fantastic job detailing some of the gang activities of the past, with awesome vintage footage of actual gang meetings, and of gang members hanging out. Last but not least is the segment on hip hop, which rose from the ashes of the Bronx like a phoenix. At a time when almost all hope had been lost, hip hop came along to replenish the spirit of the people. In essence, it literally resurrected a people. 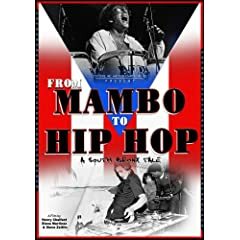 If you are a fan of Latino or hip hop music, or if you just want to learn more about American history, I highly recommend that you check out From Mambo to Hip Hop. If you are in a gang or are interested in a unique piece of American street gang history, then you too should see this film. Don’t miss out on the bonus features which include extra interviews with Mike Amadeo, Joe Conzo Sr., and Jo-Jo Torres, among others, plus outtakes of interviews with featured the artists, which includes Angel Rodriguez, Benny Bonilla, Bobby Sanabria, Carlos Mandes, Clemente Moreno, Curtis Brown, Emma Rodgriguez, Sandra Maria Esteves, David Gonzalez, Eddi Palmieri, “Popmaster Fabel” Pabon, Ray Barretto, Willie Colón, and the Rock Steady Crew. After years and years of delays, Del the Funky Homosapien has finally resurfaced on the hip hop landscape with Eleventh Hour, his fifth solo album. Over the last nine years, Del has been an enigma. He randomly popped up on compilations and group albums, but was virtually absent from the hip hop scene. 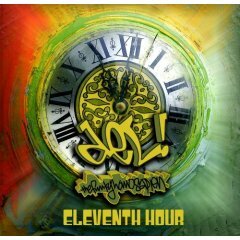 Released on indie power-house Definitive Jux, Eleventh Hour is Del the Funky Homosapien’s comeback album. Eleventh Hour is a mediocre release from a very talented artist. 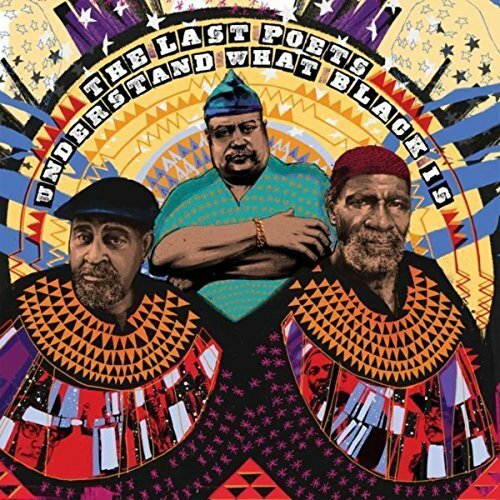 After listening to this album and comparing it to previous efforts, it became clear that part of what once made Del and the Hieroglyphics so great was their youthfulness. This is not to say that the crew is too old to make good music (see Opio’s 2005 album Triangulation Station), but Del’s pseudo-nerdy braggadocio rhymes do not sound as good coming from his 35-year-old self. Combine that with hit-or-miss production and you get the disappointment that is Eleventh Hour. Hopefully Del’s forthcoming Deltron Event II will make up for this release, just as Deltron 3030 compensated for Both Sides of the Brain.